The broadband headend environment evolves with the advance of technology and expands to satisfy consumer demand for data service. This poses challenges in many ways – space is at a premium, reliable power is essential, security has to be perfect, and the air has to be kept to specific parameters. 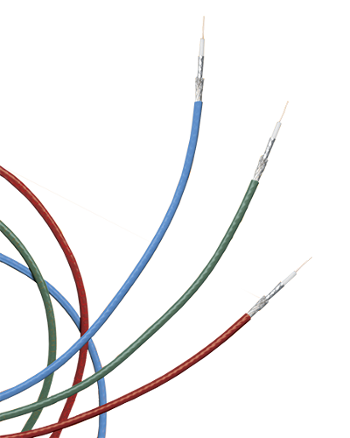 With respect to space, the headend environment has seen a transition from standard RG6 cable to high-quality mini-coaxial cable and connectors that have a smaller footprint, such as MCX-type connector products. So to accommodate technologies from video programming to 2-way digital service - the processing, receiving, and transmitting has to be better as the threshold of services such as DOCSIS 3.1 demands a more stringent network performance. If anything goes wrong in that dense, information maelstrom, technicians have to know the exact process to identify and repair the situation quickly. No amount of redundancy or backup can provide the security that a well-functioning staff can. They need products that are easy to install, high performance, and completely reliable. It is worth taking a closer look at two staple products seen in headends – coaxial cable and connectors. By focusing on the type of connectors and the cable used in your headend, both coax and fiber, and on the methods used to install/maintain them, you can increase the reliability and performance of your overall system dramatically without increasing the workload of your staff. As a matter of fact, you can reduce the workload of your staff. The first quality your connectors and coax need is the ability to have as little impact as possible on the signal going through them. Of course, you will want to choose cable types that have good shielding and that have very low insertion loss or return loss, but when it comes to form factor, you must use cable and connectors that align with the space available and performance required. Lower insertion loss may be the critical parameter for longer runs and shielding performance is always important. Tri-shield or Quad-shield is most commonly used for this reason. Once you have mapped out your cable plan, you need to decide on the best method for making the connections. First, a Universal connector is recommended to avoid craft errors when a quad connector is used on tri-shield or standard cable. Secondly, with F-Type connectors (mini, RG6, RG59) it is strongly recommended that continuity connectors are used. This is to avoid loose connectors in an intermittent grounding state that subject the network to high levels of ingress / egress that severely impact the subscriber’s experience. 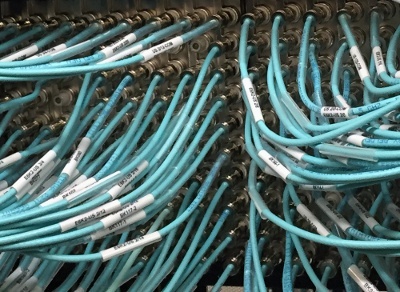 So, it’s not enough to be sure you have connectors on hand in the headend, you want to be sure you have the RIGHT connectors available. Examine your current inventory and compare the features of your connectors with the best available today. The size of your connectors is also important. If you have connectors that can be easily maneuvered into tight spaces your technicians will not have to undo and redo several configurations just to get one connector in. Preparing for the evolving technologies with respect to design and solution performance is imperative. The integrity of the headend connectivity solutions and design are key to the subscriber’s quality of experience. For more information please refer to our website: http://www.ppc-online.com/headend.